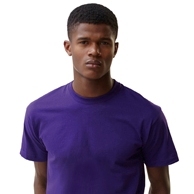 100% Cotton T shirt with rib crew neck. Produced using Belcoro® yarn for a softer feel. Lots of colours available.